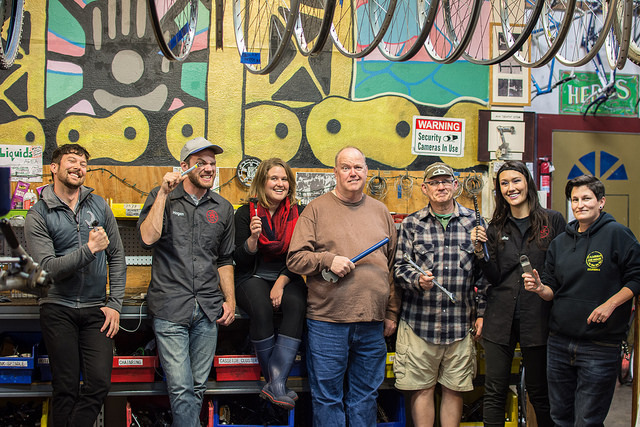 Every visitor to the shop is a patron, whether they are servicing their bicycle, looking at parts, or merely in the shop on for social reasons. Staff volunteers are any volunteers who have defined roles within the shop and/or volunteer in a reliable way to provide assistance to patrons, other volunteers, or the shop as a whole. This is not a formal group, but rather an indication of personal interest in SBK’s mission. Staff volunteers gain access to a staff e-mail list and are invited to participate in monthly rides and events. Patrons performing work service in exchange for parts or membership fees are not considered staff volunteers. The Core is a subset of staff volunteers that take on special responsibilities as SBK’s policy makers and fulfill administrative duties, similar in function to other nonprofits’ Board of Directors. The Core is a subset of volunteers that take on special responsibilities as SBK’s policy makers and fulfill administrative duties, similar in function to other nonprofits’ Board of Directors. 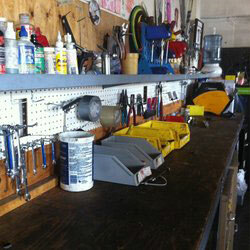 SBK’s Core meetings are public, and are typically held at our shop on the first Monday of the month. These meetings, and any rescheduling, will be posted on SBK’s events calendar. We have adopted the Consensus model featured here to facilitate our meetings. For general informational inquiries, please email us here. To contact the Core volunteer group directly, use this link.